STATE-owned power equipment maker Bharat Heavy Electricals Limited (BHEL) has won an order for setting up 129 MW Solar Photovoltaic (SPV) power plants in Telangana from Singareni Collieries Company Limited. Significantly, valued at Rs.565 Crore, this is the largest SPV power plant order won by BHEL till date. "The plants are to be set up at four locations in Telangana - Ramagundam (50 MW), Yellandu (39 MW), Manuguru (30 MW) and Pegadapally (10 MW), on engineering, procurement and construction (EPC) basis," the Maharatna PSU said in a regulatory filing. photovoltaic products and services backed by a dedicated R&D setup. BHEL is one of the very few companies in India, having established capability in major segments of the PV value chain viz., solar cells, PV modules and power conditioning units and systems. BHEL has significantly contributed to the ‘Make in India’ initiative of GoI and various initiatives for developing and promoting renewable energy based products and services on a sustained basis. The company has also enhanced its state-of-the-art manufacturing lines of solar cells and solar modules. In addition to this, BHEL is assembling space-grade solar panels using high-efficiency cells at its Electronic Systems Division, Bengaluru. In addition to solar photovoltaic products, BHEL offers complete EPC solutions from concept to commissioning for both off-grid and grid-interactive SPV power plants in various parts of the country including Lakshadweep and Andaman & Nicobar Islands. The PSU had earlier last week successfully commissioned an 800 MW thermal unit within a record time of 46 months in Telangana. 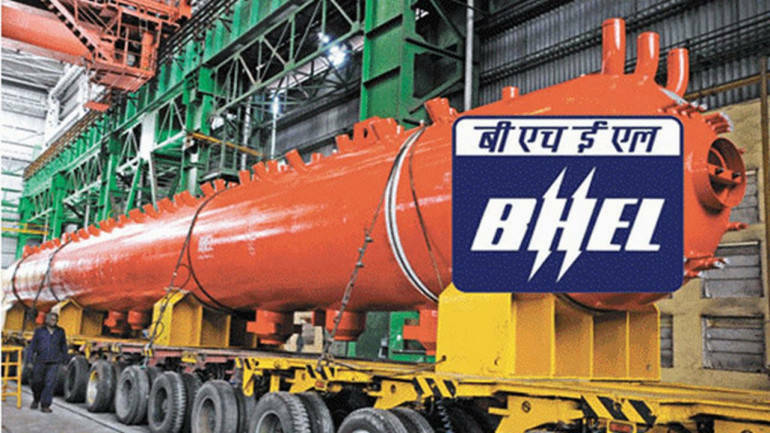 "The 800 MW set has been commissioned at Kothagudem Thermal Power Station (KTPS) of Telangana State Power Generation Corporation (TSGENCO)," Bharat Heavy Electricals Ltd (BHEL) said in a statement.BHEL has executed this project on Engineering, Procurement and Construction (EPC) basis. "Enhanced focus on expeditious project execution has resulted in BHEL creating a new benchmark of successfully commissioning an 800 MW thermal unit within a record time of 46 months. Following the successful commissioning in record time by BHEL, the power plant has attained commercial operation," it added.